Description:- Buspin 10 mg tablet is used in the treatment of anxiety disorder. 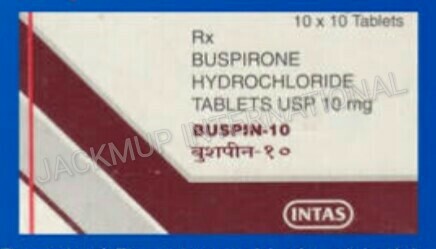 It can be taken with or without food, but it is better to take Buspin 10 mg tablet at a fixed time. Buspin 10 mg tablet works by modulating the action of serotonin, a chemical messenger of the brain that affects thoughts and mood.